On a daily basis I’m struck by the fact that no number of degrees—or titles, or companies, or years experience, or apps shipped, or books published, or Twitter followers—matter when you’re facing down a situation that’s completely new. You think it through, you consult your trusted advisors, you do your best, and maybe you write down what you learned. That’s just about all you can do. Because you don’t know what you’re doing, and neither does anyone else. The thing I find funny about Imposter Syndrome is that the symptom is you feeling inadequate, but knowing about the syndrome is a relief. Most people think that their WordPress website was safe just because it doesn’t have any content worth hacking. Unfortunately, that is not true. Websites are often hacked to distribute spam emails, for example. Or the core and theme files are filled with malicious code to infect and hack your website visitor’s computers. It’s possible that you only notice the damage when Google has already removed you from the index. Don’t let this happen, and consider my tips for the perfect wp-config.php. A constant is an identifier (name) for a simple value. As the name suggests, that value cannot change during the execution of the script (except for magic constants, which aren’t actually constants). A constant is case-sensitive by default. By convention, constant identifiers are always uppercase. The wp-config.php is the control file for WordPress. It is loaded before all other files because WordPress needs to set up a database connection. The required information is located in the config-file. When changing the value of a constant, or adding a constant, you also change the behavior of WordPress. Before, editing the wp-config.php, create a backup of this file. Your website won’t work with wrong or missing entries. You’ve probably heard this a couple of times already. But this aspect is so important that I can’t repeat it often enough. Tons of websites got hacked because WordPress or the plugins weren’t up to date. Updates are the best insurance against hacking! The security specialists Sucuri are currently warning against a security gap in the popular Jetpack plugin for WordPress. Malicious code can be implemented via the shortcode-embed-function. Automattic will indeed react soon and release a new version. If you happen to be using my “optimal .htaccess” file, you are not in danger. There, the great 6G firewall, which can fend off this type of attacks. For all the following work, you’ll need an FTP program, as well as an HTML editor. The wp-config.php is downloaded to the desktop, edited within the HTML editor, and uploaded back to the server afterward. Security keys in WordPress are critical, as the encrypt things like the login information in cookies, for example. Even when your wp-config.php already has security keys, changing them can’t hurt. When the keys are changed, all still outstanding logins of your users are signed out. Subsequently, you’ll be able to log in regularly, using your username and password. The Security Keys in the wp-config.php. If you haven’t implemented security keys yet, this is the right time to do so. An SSL certificate encrypts the connection between your website and the visitor’s browsers. HTTPS makes it impossible for hackers to trap and steal personal data. If you already have an SSL certificate for your website, you can force the use of HTTPS instead of HTTP. This increases your site’s security significantly. If you don’t have an SSL certificate yet, you should strongly consider using one. You don’t have to be afraid of major costs, as SSL is also available for free. The following entries should be used when your website already uses SSL. The uppermost entry is meant for the secured login, while the lowest one forces the browser to make the admin area of WordPress usable with SSL only. The database prefix is also known under the label “table prefix.” This prefix is used as an extension of every database table generated by WordPress. Here, the standard is wp_. This standard should be changed to something else. The more cryptic, the better. Don’t worry; you don’t need to remember what you enter here. This value is only placed once. Thinking about it, the possibility of an SQL injection is not very likely. But it is possible. Thus, alter the value before installing WordPress. Use something like hdr7rf_, for example. Attention: If you change the value of an already existing WordPress installation, the website is not accessible anymore! 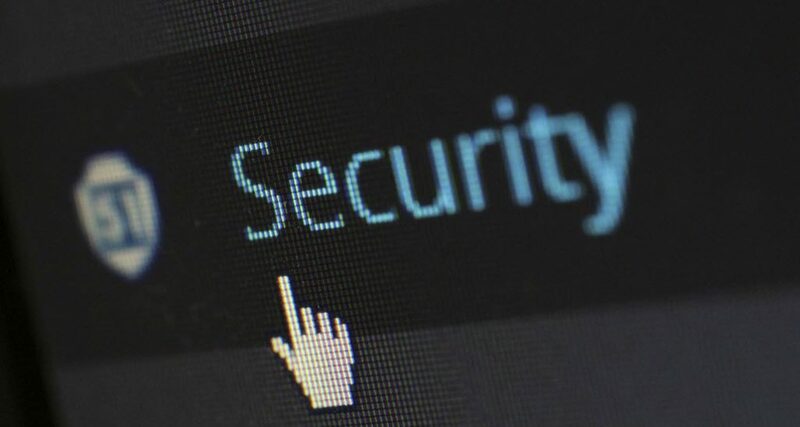 If you want to change the table prefix of an existing WordPress website, the plugin Acunetix WP Security could help you. It lets you change the value easily, and all you have to do afterward is log back in. Nonetheless, you should still create a backup in beforehand. In every WordPress installation, it is possible to edit theme and plugin files directly within the admin area. Under the menu items “Design” and “Plugin,” you’ll find the respective editor for each file. This editor is very dangerous if it happens to get into the hands of a hacker. Data can be destroyed, and viruses, trojans, spam, and other malware can be added. But the editor is also important for a website’s admin. A single mistake, a single missing semicolon is all it takes for the infamous white pages to show up, and nothing will work anymore. The wp-config.php is the heart of your website. All relevant data, including the database passwords, are entered there. That’s why it is imperative to keep this file as safe as possible. There are two approaches for this. The first one is an access block via .htaccess-file. The second approach moves the file to a different spot, where a hacker would not expect it to be. Moving it may be problematic if the website is in a sub-index, and you are using a cheap shared hosting. It can also become tough if you have a lot of websites in custom directories. If neither of the constellations applies to you, you can move the file. If you have adjusted the path to the wp-config.php correctly, your website should work afterward. If your web host has activated the File Transfer Protocol Secure (FTPS), you can force the use of FTPS for the transfer of files. This will encrypt the connection between the visitor and your server. Now, it is impossible to access the data on the server with the unsafe FTP protocol. FTP is unsafe, as the access information is transferred to your server unencrypted. Thus, if possible, only use the safe connection via FTPS. Your web host can tell you if an FTPS connection is possible. As I have already mentioned earlier, immediately updating the WordPress core, and all plugins is crucial for the security of the system. With every release of a new WordPress version, the security gaps of its predecessors are made public. This gives a hacker a solid foundation to be able to hack your website. Thus, these weaknesses should be removed as fast as possible. This plugin has to be moved into the folder /wp-content/mu-plugins/. If the folder doesn’t exist, just create it. The folder /mu-plugins/ contains the “must use” plugins. Its content is loaded by all other plugins. Please inform yourself about these automatic plugins in advance, and only use the code if you know exactly what it does. Of course, the two filters are only able to keep plugins and themes up to date that originate from the official WordPress index. Themes and plugins from a different source won’t be updated. All of these aspects together will already increase the safety of your WordPress by a lot and should be part of a good security strategy. The fact that WordPress is the world’s most popular Content Management System attracts many hackers. The situation could be compared to the computer OS Windows. On Windows, you install an anti-virus software, and WordPress takes a bit of manual work. But the safety gain definitely makes up for the small work effort. I don’t have any UX research to cite, but anecdotally, I like it when inputs that expect data in a specific format us an input mask. I thought I’d just line up a few demos for really easy reference. This is an actively maintained plugin. See the Pen jQuery Input Masks by Chris Coyier (@chriscoyier) on CodePen. It requires the jQuery dependency and the bundled plugin is 180 KB (raw), so it’s fairly hefty. See the Pen Input Masks by Chris Coyier (@chriscoyier) on CodePen. No dependencies and 5 KB (raw). There is a React component version as well. I tested the current version of Inputmask, and this is still an issue. Estelle’s version doesn’t do this as the mask is shown via placeholder, not the actual value of the input. Another crack at an accessible version of masking comes from Filament Group. See the Pen Politespace by Chris Coyier (@chriscoyier) on CodePen. It’s different from the others in that you don’t get you use the mask as you are editing the input, it applies formatting after you’ve left it. Add a Rollover Effect to your Adobe Muse website. No Coding Skills Required. Subtle animations and rollovers can really make a website more dynamic. Whether you are showcasing a product or giving more information about an image, rollovers can be very effective. For each of the states you can change the color, border, and image for the state. This allows for a unique rollover effect when applying to images. Also with the later versions of Adobe Muse the transition dialog was introduced for more fluid rollovers and transitions. So rather than a quick change when rolling over the image, the image can now fade in and out of another image. Adobe Muse CC also integrates seamlessly with Adobe Photoshop CC so you can take different layers in Photoshop and apply them to the different states via the states panel. An example of this would be taking one layer in Photoshop and applying it to the normal state, and then taking another layer in the same Photoshop file and applying it to the rollover state. This will give you a nice rollover effect in Adobe Muse all from the same Photoshop file. Via the Adobe Creative Cloud you can add vectors from Adobe Illustrator CC to your Creative Cloud library. You can then drag and drop those vector images as SVG files into Adobe Muse. Placing these images in rectangles allows you to create rollover states in Adobe Muse. 1. Create a rectangle in Adobe Muse. 2 . Fill the rectangle with an image for the normal state. The image can be added by going to the “Fill” option in the upper toolbar and then clicking on “Add Image.” You can select any image or a Photoshop file. If it is a Photoshop file you can select which layer you would like to add for the image. You can also select the fitting and position for the image within the “Fill” section. 3. With the rectangle selected go to the “States Panel” in the upper left hand corner of the Adobe Muse interface. Here click on “Normal” and select “Rollover.” You are now on the rollover state for the rectangle. 4. Fill the rectangle with an image or Photoshop file for the rollover state. 6. Go to File > Preview Page in Browser to test and preview the rollover effect. In the video above I go over how to create rollover states in Adobe Muse CC using Adobe Photoshop CC and Adobe Illustrator CC. For more video tutorials and widgets for Adobe Muse visit http://museforyoushop.com. Happy Musing :). Bread crumbs…they bring up associations with the fairy tale of Hansel and Gretel, where Hansel leaves bread crumbs to help him find his way home again. Although the association with bread crumbs is perhaps still stronger in the realm of Grimm stories, that’s gradually changing as breadcrumbs in navigation help web designers create a better user experience for site visitors. This graphical control element serves a very useful purpose as a navigational aid on a site, provided it’s designed intelligently. It can be a godsend for less-experienced visitors who need to rely on a trail to help them keep track of where they are on your client’s site. A trail of breadcrumbs will keep track of and display every page that’s been viewed by visitors, sometimes in the order said pages were viewed, other times in different arrangements. There are three main types of breadcrumbs you’ll usually encounter on any given site, with two being more popular than the last one. One of the two most popular kinds you’ll encounter, location breadcrumbs tell your users where they are in regard to the site’s hierarchy. Its straightforward organization that orients users in a clear-cut manner within the site makes this type very widely used. Popular among sites that have numerous levels of content and layers of navigation, location breadcrumbs empower users to efficiently get back to previous, higher levels of content with a simple click. Also, location breadcrumbs are static (they never change), making them a reliable way of helping to reorient users. 1-800 Flowers provides the classic example of functional location breadcrumbs. Each time a shopper visits the It’s My Birthday floral arrangement page, he’ll see that he first had to click on the Birthday category after starting from the homepage. Of course, he can click on each higher level breadcrumb to get there instantly. Attribute breadcrumbs are the second major type you’ll encounter. Unlike location breadcrumbs, these work sort of like filter choices in that they’re not static and continually change based on the preferences of the user. They won’t tell you your location on the site, but instead display meta data about the page’s content. Attribute breadcrumbs are therefore popular with e-commerce sites where you’re able to customize what you want to buy, such as on car sites. As a result, you can’t necessarily use this type of breadcrumb approach to find your way back to pages you already visited. To see what I’m talking about, check out Cars.com’s breadcrumbs. When you search for cars by make and model, notice the breadcrumbs near the top-left of the screen, just underneath the site logo. The year, make and model all represent previous searches on the site, but they don’t provide a reliable trail to revisit old pages that you already viewed. Note the difference between this type of breadcrumb and the location breadcrumbs, which allow you to revisit exactly the pages you recently visited. Path breadcrumbs are the least popular of the three because, quite frankly, all they do is replicate what a browser’s back button already does! That’s not helping to improve UX at all; it’s rather quite redundant. Also known as a history trail, path breadcrumbs really aren’t that helpful since they don’t give additional context or information to visitors who land on a page that’s already deep within the site’s hierarchy. An example would be a visitor landing on a product page because he found a search result that he clicked on. Because of these UX problems that this type of breadcrumb causes, it’s getting increasingly rare to find it on sites today. Which type is most appropriate for what site? The breakdown of the three main types of breadcrumbs begs the obvious question, which is most suitable for what purpose? Let’s start off with the one you likely shouldn’t bother with anymore: path breadcrumbs. At the very least, this doesn’t help the UX; the worst-case scenario is that users might actually get confused by path breadcrumbs since they don’t show the proper hierarchy of different levels within the site. Now that we have that out of the way, let’s focus on just the location and attribute breadcrumbs. Location breadcrumbs are more appropriate for bigger sites that have very deep and levels of content. An excellent example of this is eBay, which is a huge store because of all the items that are up for sale or auction. Accordingly, location breadcrumbs are perfect for this depth of content, as visitors can clearly use the extra orientation. Now let’s turn our attention to attribute breadcrumbs. As seen in the above example with Cars.com, eCommerce sites that offer shoppers many customizable options will greatly benefit from having this type of navigational aid. Sites with various customization options can be overwhelming to shoppers. That’s why giving them these filters makes more sense than location breadcrumbs since shoppers will want to keep track of the various changes they’ve made to their search results and orders. Ensure that there are no duplicate elements in your trail of breadcrumbs (read: pages that fall into multiple categories or levels of content) since that can actually confuse users. Use the greater-than sign (>) to break up the links in your breadcrumbs, as this is what users are already expecting from years of site familiarity and conventions. Use keywords that you want to actually rank for in SEO when deciding on the names of your different categories within your breadcrumbs, as this helps SEO. As with many concepts in design and UX, a great idea that can be very helpful to users becomes a difficulty if it’s not implemented correctly. That’s what this brief guide is for: to equip you with the knowledge to empower you to design breadcrumbs to optimize UX instead of making no impact or even hurting it. While not an absolute necessity on every kind of site, breadcrumbs can provide users with an extra layer of navigational help when they’re either faced with many layers of content or a lot of options that they’d like to filter. Either way, the usability derived from breadcrumbs ultimately comes down to how designers implement them on their clients’ sites. By making sure that you understand the purpose behind each type of breadcrumb navigation, you assist yourself in making the right choice for the type of site you’re designing. And when you choose intelligently, you’ll have satisfied users, happy clients, and good referrals, so take some extra care the next time you’re dealing with breadcrumbs. Build Websites and WP Themes Faster with Pinegrow Web Designer – only $24! New month, new wallpapers! To get you in the right mood for December, designers and artists from across the globe got their ideas bubbling and created unique and inspiring Christmas wallpaper calendars to deck your desktop. This monthly wallpapers mission has been going on for eight years now, and we are very thankful to everyone who challenges their artistic skills and contributes to it each month anew. This post features desktop artwork for December 2016. Each wallpaper comes in versions with and without a calendar and can be downloaded for free. Now you only need to decide on your favorite! The post Christmas Wallpaper Calendars: December 2016 appeared first on Smashing Magazine. Almost five years ago, I had the honor of writing a post on Smashing Magazine about my Photoshop panel GuideGuide. Since then it has seen wild success as the most installed third-party Photoshop extension, an achievement I’m quite proud. In that time, I’ve added some powerful features and, most recently, expanded it to Illustrator. This post will give you a taste of how GuideGuide can change the way you use guides in Photoshop and Illustrator. If you’re one of the many people who already use GuideGuide, please read on. You may discover some unconventional uses that are not immediately apparent. I’ll provide a overview of the major features, and then give some examples of advanced and unusual ways it can be used to make you a more efficient designer. The post Enhancing Grid Design With GuideGuide, A Plugin For Photoshop And Illustrator appeared first on Smashing Magazine. The post How To Build A SpriteKit Game In Swift 3 (Part 1) appeared first on Smashing Magazine. The following is a guest post by Pieter Biesemans. Pieter is a front-end developer at Audience where he loves styling things with SCSS. He’s going to dig into what I’d call a bonafide CSS trick. Unfortunately, that’s not going to happen. It’s not even on the roadmap for CSS. That’s too bad, as at the company I work for this would be quite useful. We do quite a few web presentations. Presentations are a very horizontal thing – usually slides have a 4:3 or 16:9 radius. This means we always have a struggle between the horizontality of presentations and the verticality of web technologies. And by we, I mean me. But if there’s one thing I like, it’s a challenge. The specific use case that led to me digging into this idea that a customer wanted to show all their products on a single slide. Of course, their product catalog was way too big to put in a single view. So we decided to split them up into three categories, each horizontally scrollable. So the three most prominent product in each category were visible and less important products were still easily accessible. , and make a bunch of child elements. In this example, our side-scrolling container will be 300px wide, with 8 items of 100×100px each. These are arbitrary sizes; they could be anything. Now we rotate the container -90 degrees with a CSS transform. And there you have it: a horizontal scroller. There’s just one tiny issue: our children have rotated too, and now anything within is on its side. How would we go about getting the children upright again? Rotate them back using another, opposite CSS transform. It’s starting to look alright, but there are still some issues. By rotating the wrapper using the top right as an anchor point, our left side has shifted by the width of the container. If you find this difficult to understand, just put your finger on the top right corner of a page and rotate it. The solution: shift it back with translateY. Better. But the first item is still missing, due to the same phenomenon happening to the items. We could fix this by giving the first child a top margin of its width or by translating all items the same way we did the wrapper. The easiest way I’ve found though is to add a top padding to the wrapper equal to the item width, creating a kind of buffer for the items. See the Pen Horizontal scroll (simple example) by Pieter Biesemans (@pieter-biesemans) on CodePen. See the Pen Horizontal scroll (extensive example) by Pieter Biesemans (@pieter-biesemans) on CodePen. I have tested on the devices immediately available to me. Using the mouse scroll wheel works great on desktops. My laptop was a different matter, though. Both the touchscreen and the touchpad acted as though the div was not rotated. I was kind of surprised to find that Android actually understood that the container had been rotated, and let you scroll sideways by swiping left and right. iOS on the other hand did not play nice. It acted like the container did not get rotated, so you have to swipe up and down to scroll sideways, which of course is counterintuitive. Also, swiping left and right moves the items up and down in their wrapper, which is unexpected and weird. Setting the overflow to hidden does not alleviate this issue. According to Can I Use, CSS transforms are currently supported by over 93% of users (at the time of this writing, November 2016), so there’s no issue there. Beware of using this in production, though. I have tested this on some devices, but not at all extensively or in depth.